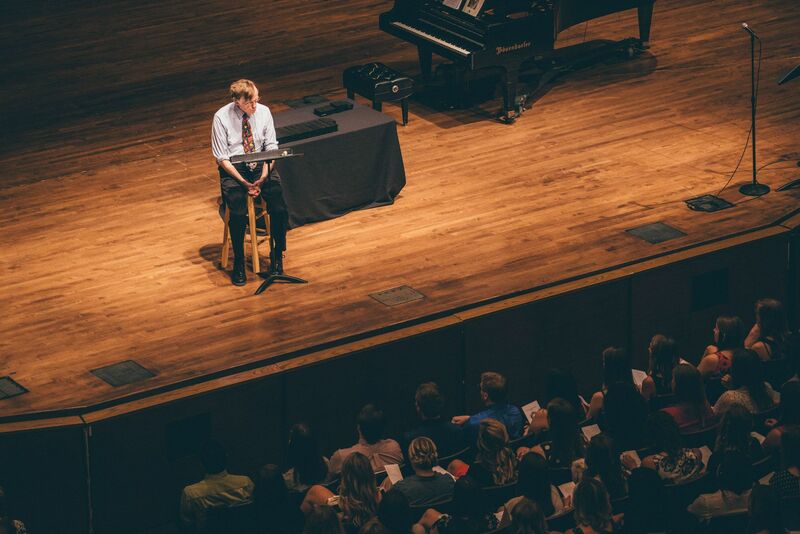 This address was written for and presented at the Calvin College Teacher Commissioning Ceremony on May 22, 2015. You can watch the ceremony online; Bob Schoone-Jongen’s address begins at about 40:30. Consider this: Students tend to be most excited when the class ends. The only thing more exciting is the end of the day. Then they became positively giddy–down right exuberant. The bell rings, and like Pavlov’s dogs, the pack sprinted for the exits. And, over the panting and baying of the hounds, sounds the smack of the crash bars on the exterior doors. A beautiful sound those bars make–part muscle, part metal. But before you take a flying leap into those metal bars tonight, listen to me splutter a few of those panicky end of the period statements/thoughts/incoherencies you so often bellowed as the students stormed the doors. You have a right to eye the exits tonight. It’s been at least seventeen years since you started kindergarten, and that’s a long time. 1998: there was a Clinton in the White House, an obscure lecturer named Obama at the University of Chicago Law School, the Tigers were more woeful than the Minnesota Twins, and the World Trade Center’s Twin Towers dominated the New York skyline. Since then you have endured hundreds of classes taught by dozens of teachers. And either because of them, or in spite of them, you want to stand on the far side of the desk as a teacher. Well, good for you. But if you expect to thrive on that side of desk, live by this one truth: as a teacher you need to remain a student. You are trading a cadre of formal teachers for a host of informal ones. In the long run that host will be the most profound set of teachers you will ever encounter. Indulge me in a little reminiscing here. The year is 1954: the year that the Supreme Court struck down segregated schools. Baseball’s Giants were in New York, the Dodgers were in Brooklyn, and all was right with the world because Dwight Eisenhower was the President. The scene: Room 2 of the North Fourth Christian School in Paterson, New Jersey. My first formal teacher: Miss Van Melle. She had a first name, but well-behaved five year olds would not dream of speaking it. She taught important lessons: “Sit still, be quiet, write your name (properly capitalized) on the line.” Also, more practically: “Don’t shove a crayon up your nose.” (An admonition prompted by one of my table mates, Jack.) Miss Van Melle’s boss: Mr. Pettinga (again someone with a first name I dare not voice). He drove a two-tone olive green Chevrolet with big fins, wore rimless glasses and three-piece suits, individually reviewed our report cards before the entire class, and condemned the criminal element to his version of public execution: to stand in full view in the hallway by the office under a gigantic picture of President Eisenhower. But as scary as Mr. Pettinga seemed, he taught me two things: 1. there is forgiveness in the face of penitence, and 2. that he loved us with a love so deep that he, this formidable taskmaster, cried when we graduated at the end of 6th grade. There have been dozens of other formal teachers over the decades. Thanks be to God for his gift of teachers, both the formal and informal ones. We all owe them deep debts of appreciation and gratitude. My list includes my wife, my sons, my colleagues here at Calvin, the principal who gave me the chance to be a full time teacher in 1975. Then there are about 1,600 high school students who graced my classes during a span of twenty-seven years. And more recently, 129 student teachers over the past twelve years–several of them here tonight. They have molded me as much, or more, than I have influenced them. During the 650 odd classes I have watched them teach, they have taught me many things about teaching. Just briefly, I want to mention some of them. And what better way to do that than to pirate a device from another TV instructor, David Letterman. To be a teacher is to be a student, a learner. A teacher cannot just pour out knowledge on students. A teacher needs to learn from the students in order to teach them. Your students are the best methods book you will ever read. Listen to what they will teach you every day. Each class consists of two parts: what went right and what went wrong. Being a teacher and a student means living with both successes and failures. During each class we learn something new about students, subjects, and our selves as teachers. Each class is another chance to get things right. All our advance planning must be proven in the fiery furnace heated by real students. In our teacherly minds we may have covered all the bases, but the students likely will exhibit different thought patterns. The big question of the day might get the lesson off ground, but the students determine the actual flight plan and landing pattern–be it a smooth one or a swim in the Hudson River. You and I may be in the cockpit, but we can’t control the wind swirling around us. Serendipity is the order of the day in a classroom, not stolid stability. The students are the most important thing in the room. These individual image bearers of God, his precious jewels in the words of an old hymn, come to us in various grades–some highly polished gems, others very rough hewn. They all have one overriding need: the guidance of a responsible adult, you, their teacher. Despite all the technological doodads and wizardry–the stuff computer companies equate with effective teaching — students still need you, a living, breathing, three dimensional human being, to provide the companionship no silicon chip and flat screen will ever provide. You and me, those breathing human beings in the front of the room, are not super heroes, but fallible people with limited abilities and vast weaknesses. Chronology and a state-issued certificate separates us from our students. That has its advantages, but also its weaknesses. We may have accumulated more of what only experience can provide, but our age also renders us exotic in the eyes of our students. Our humanness requires maintenance–both physically and spiritually. Without a healthy you, students will see just a sick teacher. Physical maintenance is not optional. 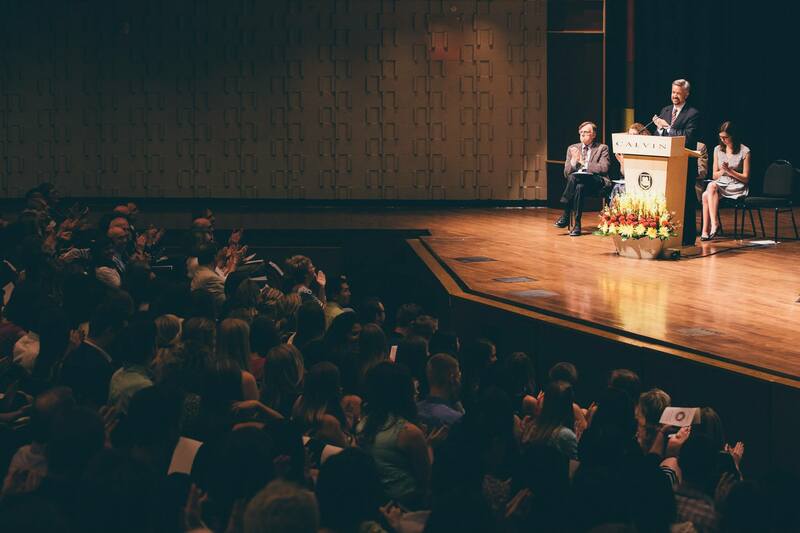 The students deserve our best effort, and we owe them more than mere endurance. My informal teachers, the student teachers, remind me every semester that sleeping and eating and exercising are what keeps our heads on straight, and our feet firmly planted underneath, from the first bell of the day until the last. Spiritual maintenance constantly reminds us to be humble about running a class. Each time we teach, thousands of words pour forth, and hundreds of instant calculations determine our vocabulary, our inflection, and our reception. A spiritually-maintained teacher prayerfully acknowledges that the torrent of words cascading through the room will carry rocks that can bruise students, and even scar them. We need divine purification to keep that torrent as a clean as possible, for the wisdom to know when a rock flew, and for the character to admit it and make amends. That never ending prayer should have a second petition–thankfulness for the blessing of being commissioned to mirror Christ’s love to another group of His image-bearers. You and I have the chance to show goodness and love to students, many of whom are unlikely to see those divine traits elsewhere. You can be Calvinistically proud when God entrusts you with being His messenger of light in the classes you teach. It is a precious gift to show students that despite all the wrong we see, the light does still shine in the darkness, even when it is very dim. That light is more than words and worksheets; it is the presence that students experience in your presence. Your reputation looms larger than your facility with the facts. Presence is the part of a class the students most likely will remember for years. In the end, what students really want from us are two simple things: to be treated justly and to be treated respectfully. The highest compliments–the evaluation that really matters–will come in two short sentences: one direct–“You were always fair”, the other left-handed–“You never made me feel dumb.” If students can say that, they have glimpsed the face of Christ in us. These student renderings of “Well done, good and faithful servant” are far more important, and more eloquent assessments of our teaching than all the numbers Pearson Corporation can tease from all the standardized tests inflicted upon students. Teaching’s essence cannot be measured by algorithms, formulas, or equations. God, and those image bearers in our classes will evaluate us by our faithfulness, not by the dots on a bubble sheet. And there you have it, fellow teachers. That pretty much sums up what you have been teaching me again this year. More importantly, I hope these are the lessons your students taught you. So be thankful for the chance to learn while you teach. Being thankful won’t be easy when you’ve been thumped by the class and have rightly concluded that your lesson plan was a dud. Still, in all things be thankful, even if only for that second or third chance to make the lesson better, or just less bad, in the three minutes between classes. This entry was posted in Bob Schoone-Jongen and tagged Calvin College, history, pedagogy, students, teaching. Bookmark the permalink.